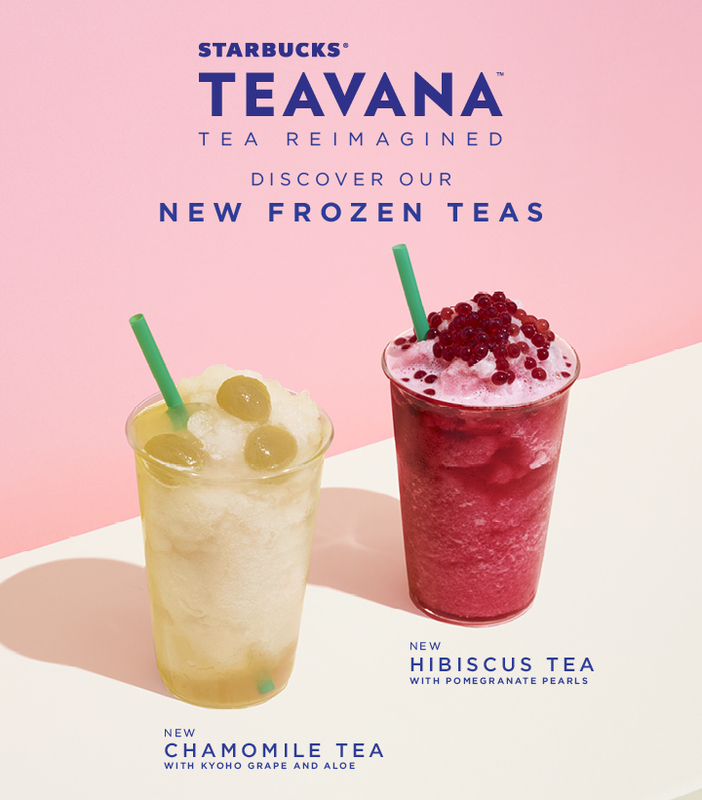 After the successful launch of Starbucks Teavana in Asia last year, Starbucks announced the introduction of their new Starbucks Teavana Frozen Teas this September. This refreshing beverage combines floral notes of hibiscus flowers and rose petals with the tropical flavors of papaya and mango, enhanced with hints of cinnamon and lemongrass. 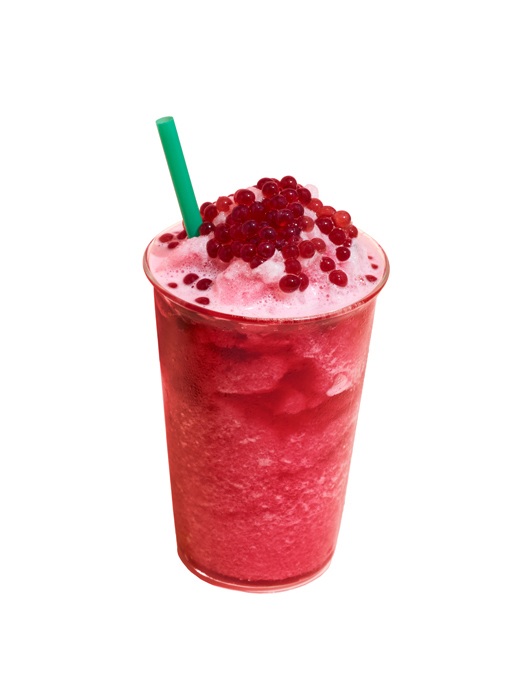 The beverage is topped with glistening, jewel-like pearls of pomegranate juice that burst on the tongue. Soothing chamomile tea is blended with honeyed white grapes and aloe cubes delivering a cool, lightly sweet taste. The beverage is generously topped with skinned and pitted whole Kyoho grapes – a popular variety from Japan known for its distinctive sweetness and generous size. “We want our customers to experience tea like they’ve never imagined. Drawing our inspiration from a love of tea in Asia and from popular new flavors. This year, Starbucks takes innovation in flavors and texture to the next level with a unique Frozen Tea platform to satisfy the growing sophistication of consumer preference.” said Keith Cole, head of marketing for Starbucks Philippines. “Our research shows that consumers in Asia continue to gravitate towards beverages with a textural and visual appeal, which has led to a growing interest in frozen products. Moreover, consumers are increasingly exploring the world of tea through flavor and variety, with preference shifting towards botanical teas such as herbs, fruits, and spices." said Davina Patel, Global Food and Drink Analyst. For more information about these new Starbucks® Teavana® Frozen Teas, visit www.starbucks.ph.